If you’re looking for a great way to finish your parking lot project, look no further than Absolute Concrete’s Pre Cast concrete wheel stops and speed bumps. These are made in various lengths and shapes to accommodate applications. 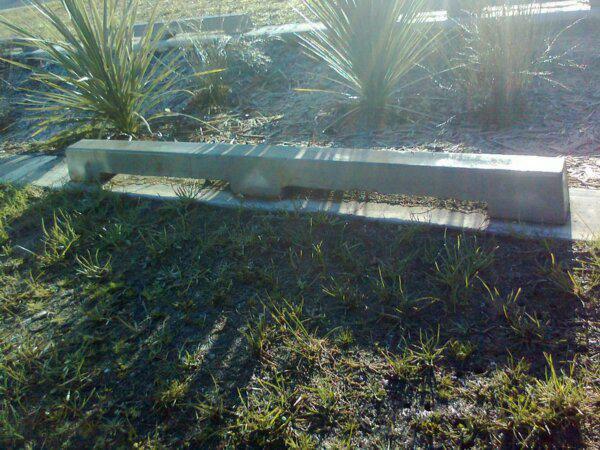 Traffic stops are a proven and safe way to provide a car park bumper. They are available in various lengths and are are made to last. 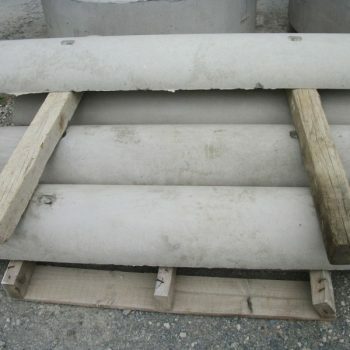 Also known as wheel stops, parking chocks, curb stops and bumper blocks, Pre Cast Concrete Traffic Stops produced by Absolute Concrete have been designed as a safety measure to protect a large array of structures and other parked vehicles and pedestrians from being struck by vehicular traffic. .
Pre cast traffic stops are affordable and provide the finishing touches to car parking areas. Besides their aesthetic appeal and easy installation our wheel stops are tough wearing. They are made from high strength 40mpa Concrete and reinforced with two 16mm rebar’s inside for added strength. They are made with two formed holes in either end so they may be pinned and secured to asphalt or concrete surfaces. Furthermore, concrete has long lasting durability, more so than plastic and rubber or even steel and is resistant to chemicals. 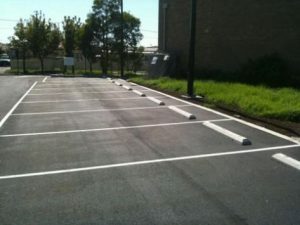 When you use pre-cast concrete wheel stops in your car park area you may be sure that you have provided an easily installed, affordable sustainable solution to safety. They are also environmentally friendly and allow for easy removal, repositioning and additions. Absolute Concrete is a manufacturer and supplier of precast concrete parking curbs/bumpers to retail and industrial customers, building contractors and real estate developers. Pre Cast Traffic Stops by Absolute Concrete are produced in accordance with NZS.3109:1997. With surface finishes to NZS 3114:1987. They are manufactured in 40MPa concrete and 300 grade steel for high durability. Marine options are also available on request.